The malicious intent is self-evident. This malevolent Doctor Stones has brazenly usurped the globally-recognized brand image of The LEGO Group and exploited it (and the children who love it) for his own personal profit. Despicable, and brazen at that! I mean, I suppose it's subliminal or something, because when I see the image above, I can't help but think of the image below. You see it too, do you not? I mean, this Stone Golem has precisely replicated the typeface! Well, perhaps not that, but the color! Alright not that either, but the shape! The shape, it's... The aspect ratio... Well anyway, there are studs on the Stone Monster's propaganda mark! Studs! You know, those things that LEGO is well-known for inventing? 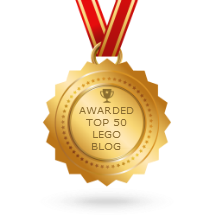 Okay, okay, so perhaps the big 'L' somewhat ripped off another company's existing, commercially available design for those and there were other studded brick toys at least 15 years earlier, but just like the company they directly copied, LEGO got a patent! A patent that stands tall, proud, and totally active to this day! No, that's not true either. So never mind any of that, it's the principal! Stonezilla is clearly in the wrong from a... from a... philosophical standpoint, in a way. It's despicable, really. No worries, thanks to the swift & decisively typed action from LEGO's legal warriors, the transgressions of Stonius Rex have come to an end. Additionally, he's cutting off all dealings with them. Also, he's going to start reviewing superior and/or better-priced products from competitors for the first time for his 160,000+ subscribers on YouTube. Oh, and apparently much of the country of Germany is now very angry at LEGO, for some reason. PS: In retrospect, I suppose LEGO could have sent a simple note to Stoneheart the Wicked, asking him to change his logo, explaining in a sentence or two why. Perhaps it would even have been a productive alternative, especially given the potential for these sorts of matters to blow up on social media (warning: lots of foul language on Twitter, Facebook, etc.). Alas, acting first, thinking later is a strategy with merit of its own. To the Lawyers, and Beyond™! The problem with Stoneface is, he is often very judicial with Lego, especially in recent times. For example, when he reviewed the First Order AT-ST (75201), which he called the worst set of all times. I mean, seriously, it's only half an AT-ST. Wether Lego's reasons were justified or not, he is pretty much the most prominent lego reviewer in Germany (not counting paid fanboys), and many people consider this a very transparent attempt to shaft him, or shut him up. Guess that plan backfired. I don't agree with the hypothesis that this was a retaliatory action, any more than their legal pre-action against me was. They have many machines with many cogs and the controls are distant and not well-connected. The result is the stereotypical "big corporation" effect where sometimes a bit of human touch is needed, but not supplied. First of all, Thomes (that's his name) was not sued, as it was reported in some places, he just got a letter from a law firm acting on behalf of TLG. So the lawyers just defended the trademark rights of TLG in a standard procedure. However, Thomas concealed this information in his video and put it as if TLG has a general Problem with his logo, which is not the case. And now many people put it as if TLG tried to sue him because of his criticism which also isn't the case. What TLG did wrong, is the lack of communication. 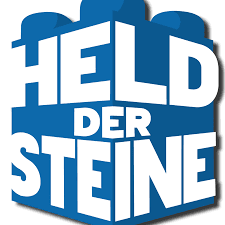 The "Held der Steine" gave them about 10 day to contact him and explain the letter he got before he made it public. On the other hand it's legos right to defend their Trademark which Thomas might have damaged with his registration. I hope i could clarify this case a bit and my english isn't as confusing as i think. I'm not anywhere near close to being even partially knowledgeable on copyright laws, but I do remember reading about a case in Germany many years ago. So Warhammer 40000 (or 40k as it's abbreviated) is a miniature war-game made by Games-Workshop, that was first released in the 80s. Back in the 90s a group of dedicated German 40k, pooled together a decent sum of money and resources and made a feature length Warhammer 40000 called 'Damnatus: The Enemy Within'. Games-Workshop blocked them from ever officially releasing the movie, because under German copyright law, if the movie was released with the approval of, or even no challenge by, Games-Workshop then it would legal be them invalidating their copyright and trademark on the 40k universe and making it public domain. That would mean anyone would be able to use the logo/world/40k related material for commercial use, which is something Games-Workshop would be against. If that's legitimate, then it could explain why Lego has to clamp down on someone using a similar logo to theirs, to ensure that they don't loose the copyright or trademark to it, which would allow bootleggers to make fake Lego sets with similar logos, like Lepin does. Hi Jang, greetings from Bavaria, Germany! I met Thomas in his tiny, squeezed store in a quiet Frankfurt neighborhood about a month ago. What surprised me most? Not the incredibly stuffed-to-the-rafters feeling of his wee shop, not the fact that he only sells new stuff there and no individual bricks, and not that i actually met him again the same day at Frankfurt Lego Store at MyZeil mall. No-- the biggest surprise was that he sells Held Der Steine coffee mugs for a not-low price, and while i was in the shop, somebody bought one! Granted, his mugs are proper-sized coffee mugs for full-grown humans to drink from, but whoah.. It was like 10 Euro for one. I bought a hand-decorated tall mug in a super-touristy part of Alaska for just 10 US dollars. But aside from that, i liked how he sold a few individual Mini-Figures in tiny Ziploc bags for just 4 € each. I bought a nice Joker i didn't have. If you ever visit Germany, please let us fans know, and by the way, the Legoland park at Günzburg (in my state of Bavaria) has the best individual brick store , The Brick Factory, i have ever found in all my travels. They sell by weight, 9 Euro for 100 grams, a bit dear, but have a soaring room full of great elements, including windows, Technic parts, roller-coaster tracks, purple baseplates and more.